This is another article in our “supplier vetting” series. So you asked potential suppliers a number of questions, then you visited them and noted your subjective evaluations… If you want to move further in the direction of working with them, the next step is generally a factory quality audit. Working with a manufacturer that has a strong quality system ensures that ‘very bad surprises in production’ are less likely to come up than with an average factory. I am going to explain why most Chinese factories don’t have a solid quality system, why an ISO 9001 certification means next to nothing, what minimum you should require, and what the most important points to audit are. Have you ever read Sun Tzu’s 36 Stratagems? It will help you understand how some of your Chinese suppliers think. Kill with a borrowed sword — Attack using the strength of another (in a situation where using one’s own strength is not favorable). Trick an ally into attacking him, bribe an official to turn traitor, or use the enemy’s own strength against him. Inspector is too harsh? Bribe him! Besiege Wèi to rescue Zhào — When the enemy is too strong to be attacked directly, then attack something he holds dear. Know that he cannot be superior in all things. Somewhere there is a gap in the armor, a weakness that can be attacked instead. The customer is getting down hard on you for quality issues, but they are quite price sensitive? Let them understand subtly that you’ll raise prices if they are too tough. Cross the sea without the emperor’s knowledge — Mask your real goals, by using the ruse of a fake goal, until the real goal is achieved. You are blamed for a mistake you did? Pretend to be offended by attacks on your personal ethics. In other words, why do the hard work that will ensure you do a good job in a reliable manner (also known as setting up a strong quality system) if you can easily dodge customer complaints? Fortunately, this is changing little by little. Factory owners who focus on the long term (keeping good customers happy with good quality) tend to be more successful than those who can only think of their cash position at the end of the day. And there is another reason for the lack of strong quality systems. Few Chinese factory managers have an advanced education degree. They have no concept about system thinking. What do I mean? They very seldom ensure that the feedback loop (from problem finding to point-of-cause identification all the way to problem fix at the source) is in place. And it means they have no “system” in place. And the second reason why you need to check a supplier’s quality system is, you can’t trust an ISO 9001 certificate. ISO 9001 in itself is not a bad standard. However, something went horribly wrong in the implementation of the registration/certification system, and no industry professional in China gives any credit to an ISO 9001 certification. Many registrars are very lax, otherwise they wouldn’t have any business (the auditees are their customers). Many manufacturers pay consultants for passing the certification without doing any work on their organization’s fundamentals. Many third-party auditors are happy to close one eye in exchange for a bribe. 3. 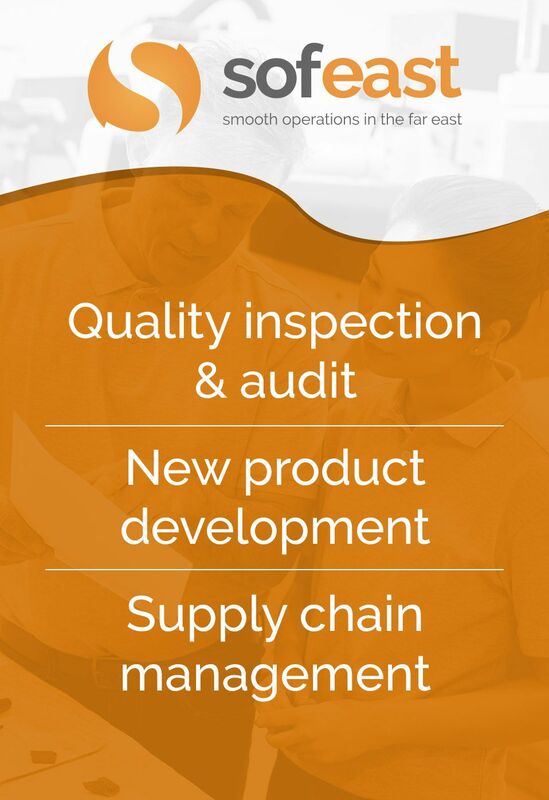 What is the minimum you need your suppliers to do, quality-wise? The response is, “it depends”. Maybe it is very rudimentary — for example the owner of a 30-people workshop looks at production and decides by himself if it’s “good enough”. Maybe it is a little more advanced — the production line leaders, or a quality control technician, tries to notice defective products and sets them aside, and they tick a few boxes on a form. Maybe it is more advanced, with go-no go gages, successive inspection by production operators, and/or digital sensors. In each case, a quality system is in place, but the degree of maturity is different by orders of magnitude. a) Can a large manufacturer be interested in your business in the short and in the long term? If the answer is yes, then you can require a solid quality system. If not, you will need to work with smaller facilities that won’t be as well organized. b) Can you follow up on production very closely? If you can, great — you can work with a relatively disorganized workshop and, hopefully, catch all the problems before they become serious. If you can’t, you’ll have to work will well-organized suppliers. 4. What is checked during a factory quality audit? And, if you want to see a long list of points that are generally audited, open this page. Do they have all the testing equipment needed to ensure their products function as expected and are safe? If some pieces of equipment are expensive, do they send samples to an outside testing lab? Are non-conform materials identified? Do operators really segregate them, or are production staff paid by the piece and just “pushing stuff” as fast as possible? Can they show a few problems that were really fixed (by addressing its root cause, NOT firing someone) and that was followed up over time? Do production operators know what they are supposed to do? Were they trained? Do they have work instructions that they understand and follow? If your product is highly customized, will the factory accept to do a pilot run before the first production? This auditing approach has a few blind spots. What about the sub-suppliers? If you identify serious risks at the tier-2 or tier-3 supplier level, you also need to qualify them and audit them… which means you need your direct supplier to be transparent about some of their sub-suppliers (not something very common in China). Will production actually take place in the facility that gets audited? Chinese suppliers do a lot of bait-and-switch with new customers, and you want to avoid that. This is something you need to clarify in your contract and you need to monitor through inspections during production. Is the auditor technical enough to understand how production runs, what the main risks are, etc.? This is sometimes an issue. Have I forgotten something? What do you think? I really like this article! Someone else understands that the causes of poor quality, in most Chinese factories, are related to culture and education style. In the west, education is based on problem solving, while here education is about achieving the next level – often, at any cost. Decision making comes from totally different perspectives. Thanks Dave! Yes absolutely, the factory managers’ background plays a large role.